Since I mastered the art of baking bread (and by mastered I mean I’ve baked one loaf my whole life), last night I decided to try my hand at homemade pizza. 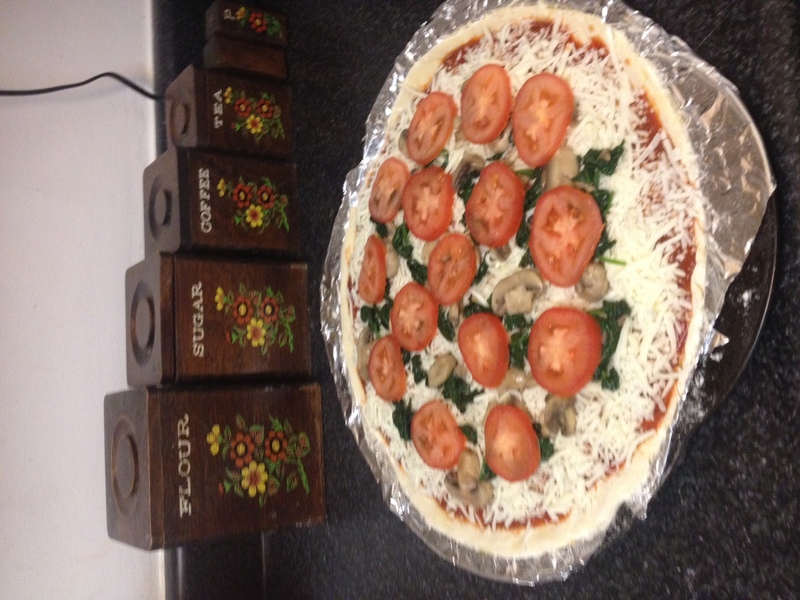 The dough recipe seemed easy enough..plus if it turned out bad it’s still pizza..who doesn’t like pizza? So Jon and I decided that I would make the pizza and he would help me eat it. He eats anything so I wasn’t too worried about my lack of pizza dough making skills. Fast forward 2 ish hours and wall-a! Pizza! I’m not trying to brag or anything but I have to say it was probably the best pizza I’ve ever had..seriously..I’m awesome! In a large bowl, combine 3 cups bread flour, olive oil, salt, white sugar and the yeast mixture; stir well to combine. Beat well until a stiff dough has formed. Cover and rise until doubled in volume, about 30 minutes. Meanwhile, preheat oven to 350 degrees F.
Turn dough out onto a well floured surface. 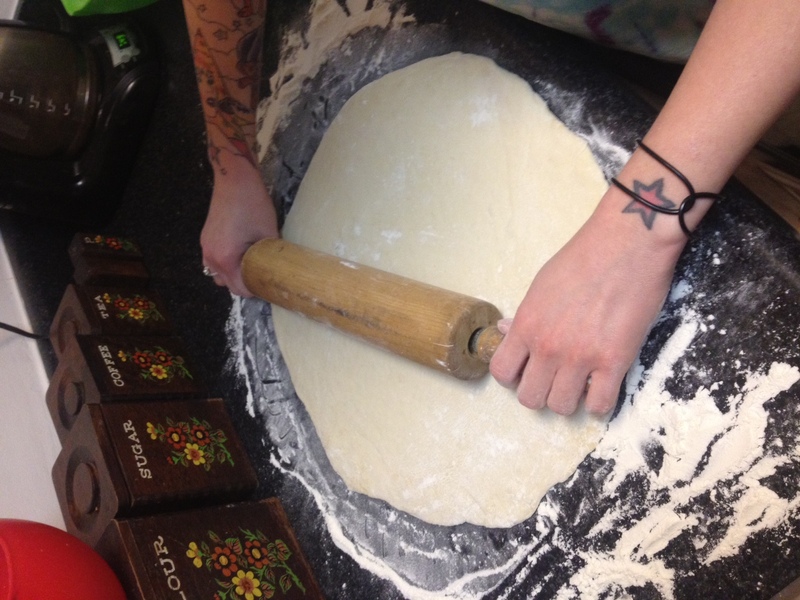 Form dough into a round and roll out into a pizza crust shape. 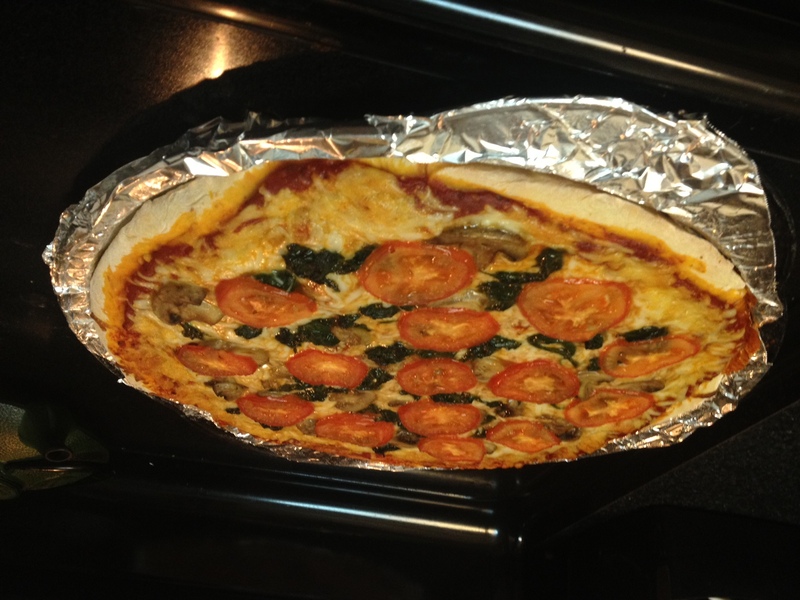 Cover with your favorite sauce and toppings (we used spinach, mushrooms, and tomatoes) and bake in preheated oven until golden brown, about 20 minutes.